All recitals begin at 4pm with a reception to follow. 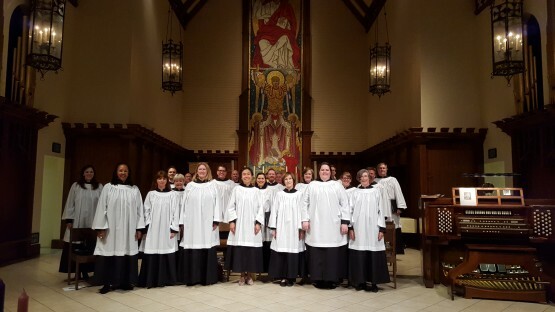 St. Edmund’s Choir performs at the 10:00 AM liturgy, and we present music in the Episcopal liturgical tradition. 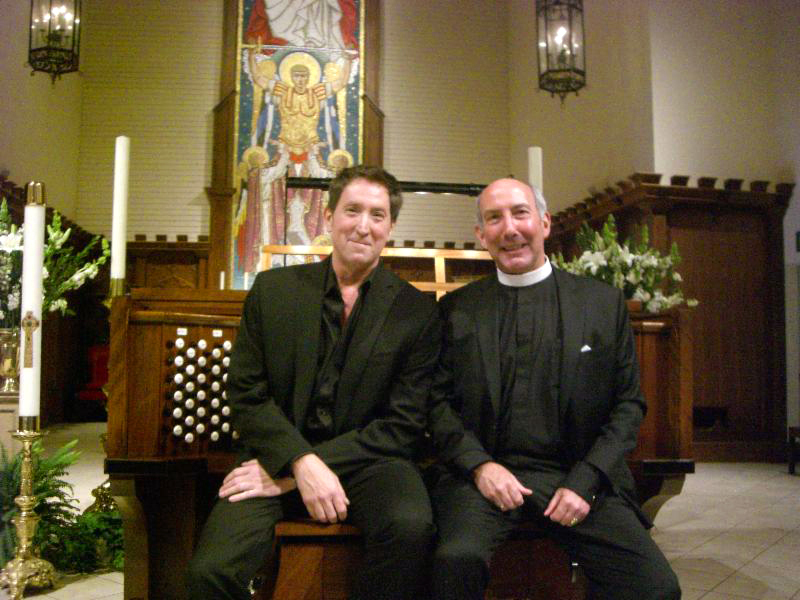 Our 4 professional soloists perform regularly with the Los Angeles Master Chorale, the Los Angeles Opera, and with other US Opera companies. We are also blessed with the contributions of some excellent volunteer singers. 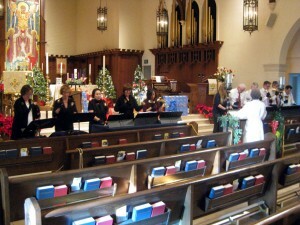 Our main concert during the year is the service of Lessons and Carols. We hope you can join us and support our choir and music program. 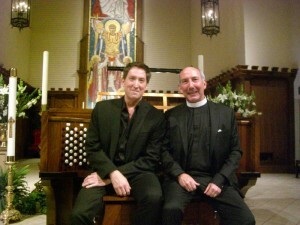 Please visit the Hear Music section of this website to sample organ and choral music at St. Edmund’s. 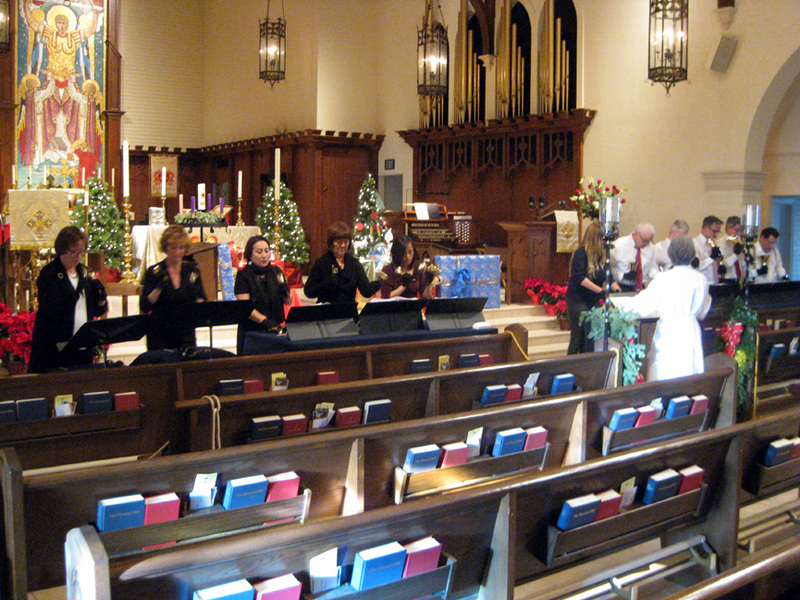 Our Handbell Choir, under the direction of Sylvia Smythe, performs at the Christmas Eve and Easter Liturgies, as well as other select occasions during the church year. Our 3 octaves of handbells have recently been refurbished, and in 2014, a new 4th octave was added, bringing new life to this ministry. See Sylvia Smythe about participation.